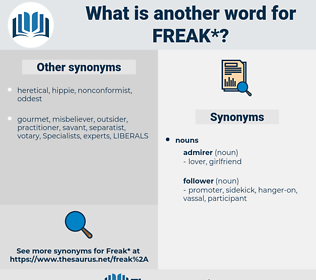 What is another word for freak? pinball, addict, chemistry, creature, phenomenon, Phenomena. sorceress, weird, strange, awful, geek. flipper, crackpot, aberration, maniac, hippie, weird, barge, wanker, strange, geek, fruitcake, mutant, madman, anomaly, nutcase, stalker, nerd. 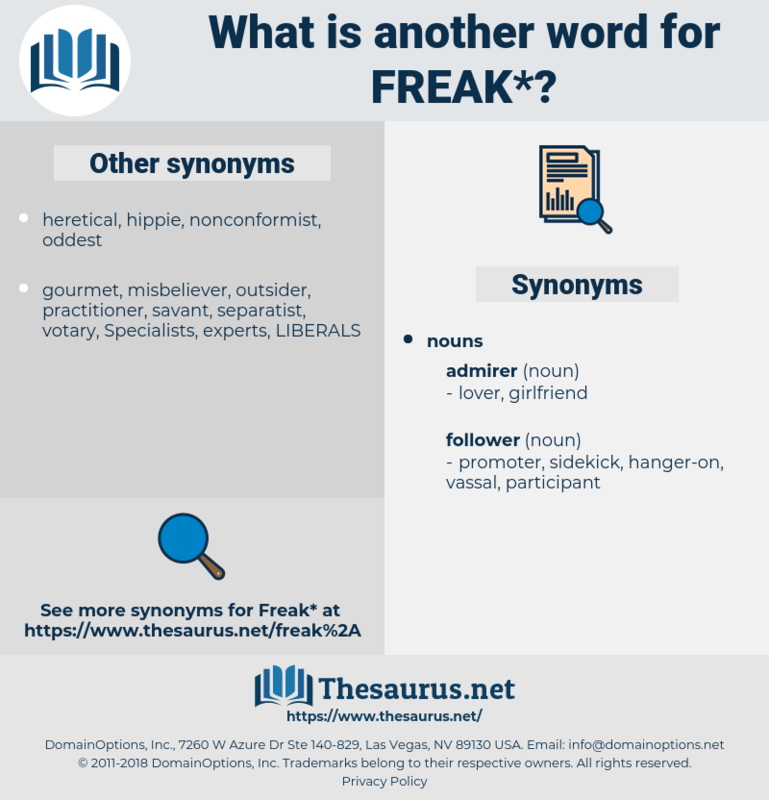 customary, common, usual, everyday, typical, unexceptional, frequent. normality, ordinary, regular, conformity, regularity, commonality. None of them, however, approached the alien freak, the heat apparently being too intense to permit close inspection. I feel pretty sure the ore's a freak of Strange's imagination.